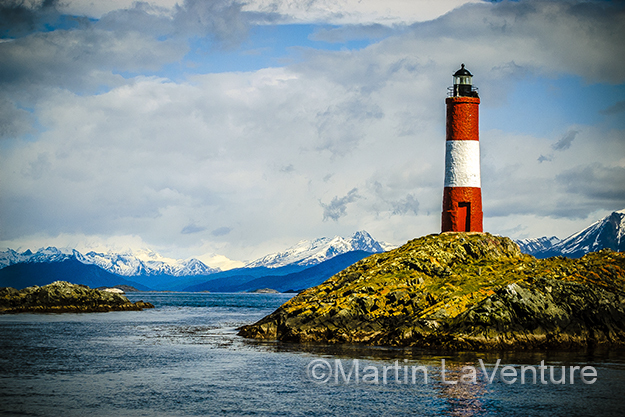 “Les Eclaireurs Lighthouse (means ‘the Enlighteners’) is five nautical miles east of Ushuaia, in the Beagle Channel, Tierra del Fuego, the southern tip of Argentina. It began operation about 100 years ago and is known to the Argentines as the Lighthouse at the End of the World (Faro del fin del mundo). 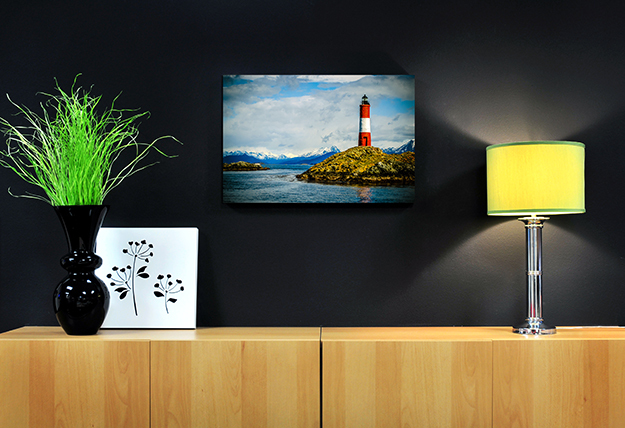 “I was inspired by the spectacular beauty and the remote wildness of this location. Here the great Andes Mountains meet the sea and for hundreds of years sailors navigated this narrow channel through some of the most treacherous waters in the world. “Today I often use the image of this lighthouse as a metaphor to inspire my students to stand tall in difficult weather and challenging circumstances. I ask them to reach out and shine their light not to attract others but to guide others. I remind my students that like this lighthouse, they are respected, yet need to stand alone, valued and vital to the successful passage of those who depend upon them. “This image was captured with a Nikon D100 in 2005 (I use Nikon D800 today) 1/500 second, f 9.5. with a 70-200 mm Nikon 2.8 lens set at 105mm. It was taken while hanging over the bow of a moving boat. Post Processing of the raw NEF file was with Lightroom version 5.3.